Devolution for Yorkshire will come under the spotlight at a business leaders’ lunch this November. Edwin Morgan, director of policy at the Institute of Directors (IoD), will offer a national perspective on what has become a hot topic for public and private sector leaders in Yorkshire and the Humber. He will be among guests at The Mansion in Roundhay Park, Leeds, on 30 November. 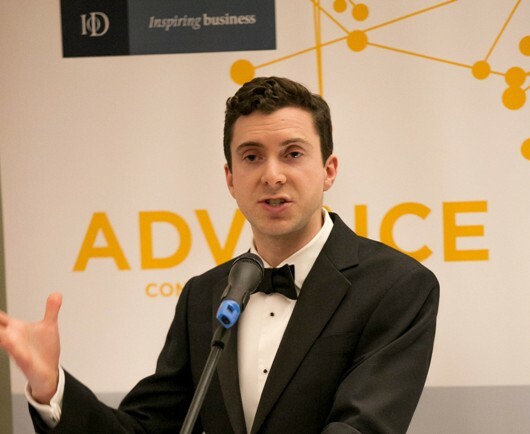 Edwin leads a team of policy experts covering issues ranging from tax and regulation to trade and infrastructure, seeking to represent the interests of IoD members to the Government and to foster a climate favourable to entrepreneurial activity and wealth creation. Following a two-course lunch, guests will take part in a round table discussion with Morgan and IoD regional chairman Jon Geldart. The Mansion is the headquarters of award-winning catering and event management business Dine, whose founder Dan Gill will lead guests on a ‘Behind the Scenes’ tour of the Grade II-listed building. Jon Geldart, chairman of the IoD in Yorkshire and the Humber, said: “As an organisation, we have committed our support to the One Yorkshire devolution proposal. It will be fascinating to get a national take on this politically-charged issue from Edwin.